One of my finest sources of background information when researching my WW2 books (especially Early One Morning, The Last Sunrise and Dying Day) was John Debenham-Taylor who, over the years, has become a friend. This week I learned that he has just been awarded a medal, 75 years after the event. 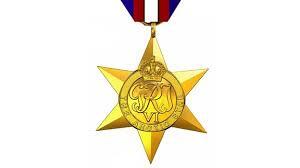 In fact, he now has two medals gained during the war and two awarded afterwards. 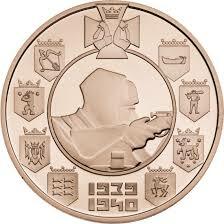 Both of the post-war medals concern the Winter War in Finland when, in November 1939, Russia invaded. This conflict is little remembered now in this country, but at the time (during the so-called ‘Phony War’) it was front-page news. Martha Gellhorn sent brilliant dispatches from a bombed Helsinki. An International Brigade, of the sort that fought in the Spanish Civil War, was raised across Europe, with some 12,000 volunteers, including the recently deceased Christopher Lee. Around 50 of these died, a low figure because the Finns (probably wisely) kept most of them from the front line. 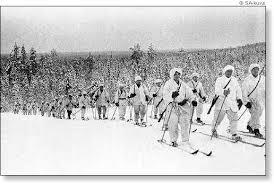 The Finns were fighting a new kind of war – hopelessly outnumbered, they opted for guerilla tactics. They were the first to mass-produce Molotov cocktails for use against tanks and their lethal, well-camouflaged skiers/snipers became a source of fear among Russian troops. Farmer and hunter Simo “Simuna” Häyhä, known as ‘White Death’ because of his snow camouflage suit, killed more than 500 Red Army Troops with a Mosin-Nagant rifle. “John was just 19 and was a very good gunner of ‘instructor quality’ and a 2nd Lt. When asked if he would volunteer to help ‘a friendly nation’ under attack (he guessed Finland) he volunteered and along with seven others he was taken out of uniform and sent to Finland in civilian clothes via Sweden. The Finns acted with admirable speed. A new Winter War medal was struck and John was invited to the London Embassy to receive it from the Finnish Military Attaché. And so, last week, the Arctic Star arrived through the post, almost 75 years to the day after that escape from Finland. Well deserved, and better late (John is 95 this year) than never. This entry was posted in Books and tagged airports, Arctic Star, Finalnd, medals, SOE, Winter war on June 16, 2015 by Robert Ryan. Fine fellow. I appreciate the tip about reindeer.